Auditioning Now for 2019 Full Time programs. Register Now or Contact us for times, appointments or to audition via Video. In 2017, 100 per cent of graduating students received offers from all over the world! Statistically NCD, located in Newcastle NSW, is one of the most successful schools in Australia. Every student receives world class training from some of the most acclaimed teachers in Australia, all in the comforts of being close to home and without the worries and expense of having to go to a big city. Students are surrounded by likeminded and supportive mentors all with the common goal of developing each dancer to pursue their dream of a career in dance. Our success has continued year upon year, and with over a decade of experience as a Registered Training Organisation we successfully advance students to their next stage. Being an RTO, all students leave with nationally recognised qualification, giving them further options after a successful dance career. 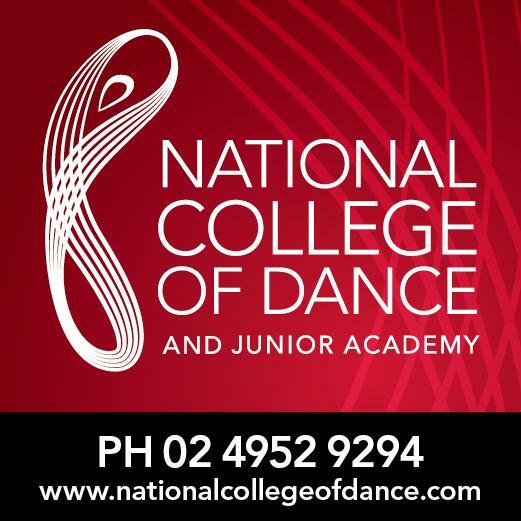 NCD’s faculty are made up of Australia’s leading teachers and choreographers providing the finest dance training and mentoring in classical and contemporary dance in the country. In an encouraging and creative environment, NCD also offers: Classical & Contemporary streams up to Diploma level; in-house audition classes; career planning; assistance with portfolios and video auditions; nutrition; alumni network all over the world. SUBJECTS: Classical Ballet, Contemporary Dance, Repertoire, Jazz, Performance & Audition Preparation, Partnering, Choreography, Body Conditioning, Anatomy, Nutrition, Career planning & Private coaching. Units selected in each of the Certificate and Diploma courses are a reflection of NCD’s focus in preparing students for a professional career in dance. TEACHERS: Brett Morgan, Timothy Gordon, Debbie Ellis-Linnert, Jake Burden, Zoe Jones, Emma Burden & Elise Frawley. Visit nationalcollegeofdance.com to read about more of the staff and their extensive expertise.